Brighten your kitchen with the wonderful addition of stained glass art. Stained glass kitchen windows are a classic way to add style, sophistication, charm and beauty to the overall design and look of an existing kitchen. Stained glass kitchen inserts not only allow you to take advantage of bright natural sunlight without compromising privacy, but it also eliminates the risk of unwanted glares and unsightly outside views. The talented artists at Stained Glass Inc. have created a wide variety of stained glass kitchen designs that can be incorporated in a number of different ways. The rich colors and textures, finished with beautiful details, are sure to coordinate with any kitchen decor. At Stained Glass Inc., we can turn any of the images from our extensive stained glass collection into custom kitchen stained glass windows made especially for you and your home. All you have to do is provide your measurements and ideas and we will custom make stained glass kitchen window inserts that fit perfectly and add stunning color and sophistication to your decor. Many of our clients like the simplicity and ease of Stained Glass Inc's custom window inserts for their kitchen. For a more dramatic effect, you may choose to create a custom stained glass bar front or beautiful stained glass kitchen cabinet doors. Whatever you choose, you will surely enhance the look of your kitchen, wine cellar or bar with the stunning beauty of stained glass kitchen inserts. Not sure where to start? The team at Stained Glass Inc. will help make your design decisions as simple and seamless as possible. You can choose from thousands of designs, or you can work directly with our designers to put together stained glass kitchen window inserts that are completely customized to your taste. Our friendly and knowledgeable design assistants are available to help you. Consultants can help answer any questions you might have about specific stained glass images or technical details. Our talented team of professionals will work with you using your measurements and color preferences to create the perfect stained glass kitchen windows for your home. Stained glass suncatchers are another excellent way to use stained glass in kitchens. Hang suncatchers in front of existing windows and watch the sunlight stream through in glorious color. The beauty and warmth that stained glass evokes is sure to brighten your kitchen no matter where you choose to put it. While we take great pride in the beauty of our custom kitchen stained glass windows, it's the quality of these inserts that have people coming back. These aren't ordinary stained glass kitchen inserts. Custom stained glass windows for kitchens from Stained Glass Inc. stand apart from the competition because, not only are they beautiful, but they are strong. They are so strong that our stained glass inserts boast up to 250 times the strength of ordinary stained glass. They are impact resistant, durable and made to last a lifetime. Unlike other stained glass, our panels are polymer laminated, similar to airplane windows, to make them virtually unbreakable. Not only are the materials strong, but the colors are fused directly to the glass with heat to ensure lasting vibrant color that won't fade over time. 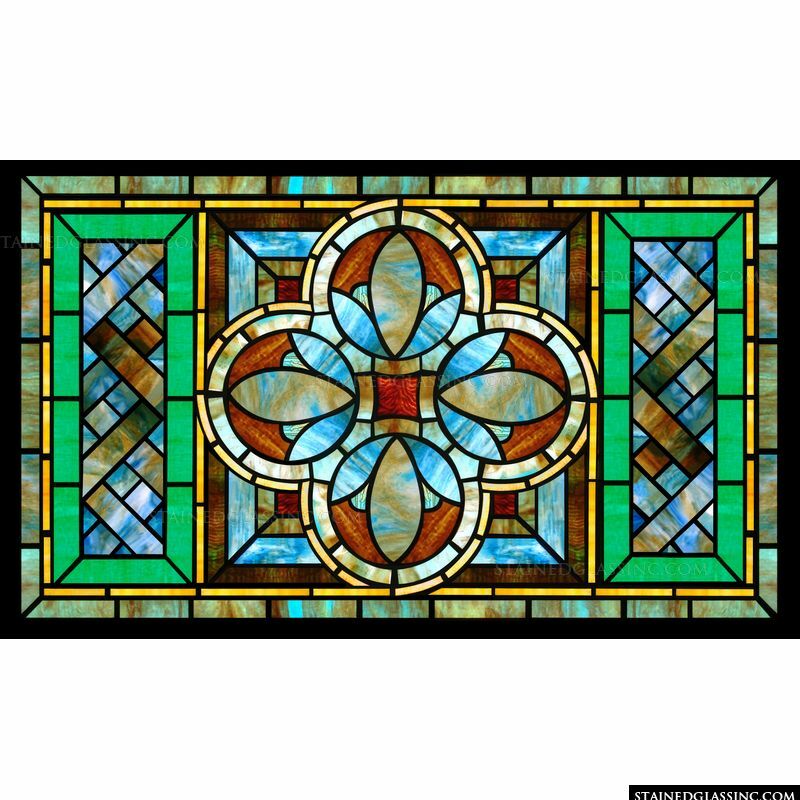 Why else should you choose Stained Glass Inc. for kitchen stained glass window inserts? Installation is quick and easy, meaning you'll spend less time and money. In fact, stained glass kitchen windows inserts can easily be installed without fully replacing your existing windows. Plus, our custom stained glass kitchen cabinet doors are made to fit your exact size and shape specifications. They are low maintenance and require very little care to maintain their beauty. Since our inserts are lead free, the "lead lines" are incorporated flush with the surface of the window reducing dust and dirt accumulation as well as the lead exposure that's common with old stained glass. Stained glass kitchen inserts from Stained Glass Inc. are the most cost-effective and efficient stained glass inserts for kitchens on the market. Our company believes that being good stewards of our given resources is good for the environment, good for our clients and good for our bottom line, which is why our stained glass kitchen window inserts are made to help save energy. Installing stained glass inserts to your already existing windows saves new construction costs, waste and environmental impact. Additionally, Stained Glass Inc. kitchens stained glass is simply some of the most affordable stained glass available for homes, churches and non-profits. Our stained glass art has graced the halls and windows of five star resorts, casinos, the US Capitol, cathedrals, etc. These inserts can cost up to $1,000 a square foot, but Stained Glass Inc. offers discounts that start at $80 a square foot. That's incredible savings for those looking to upgrade their homes with stained glass kitchen window inserts. The materials we use to produce stained glass windows for kitchens are the same premium quality materials we've used to produce art for some of the finest resorts, museums and hotels in the world. We are so confident that you'll love your new stained glass windows that we offer a no risk, 100 percent money back guarantee on the artwork. All of our designs at Stained Glass Inc. can be completely customized to meet your specifications. Get started creating your stained glass masterpiece today by talking with one of our design specialists. Add natural sunlight without compromising privacy. Quality and long-lasting stained glass kitchen windows at an affordable price. Stained Glass Inc. custom stained glass windows for kitchens are strong and boast up to 250 times the strength of ordinary stained glass inserts. Bring new beauty and color to existing kitchen windows. Shimmering mineral pigments are heat fused to glass to ensure lasting color that won't fade. Size, shape, design, and color are customized to your style and specifications. We can custom design stained glass art to fit your individual vision. 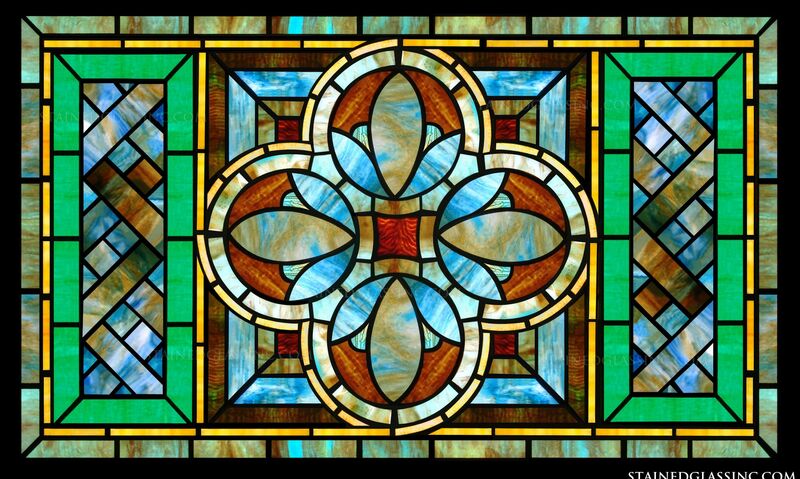 Call to speak with one of our stained glass design consultants. We are here to help.